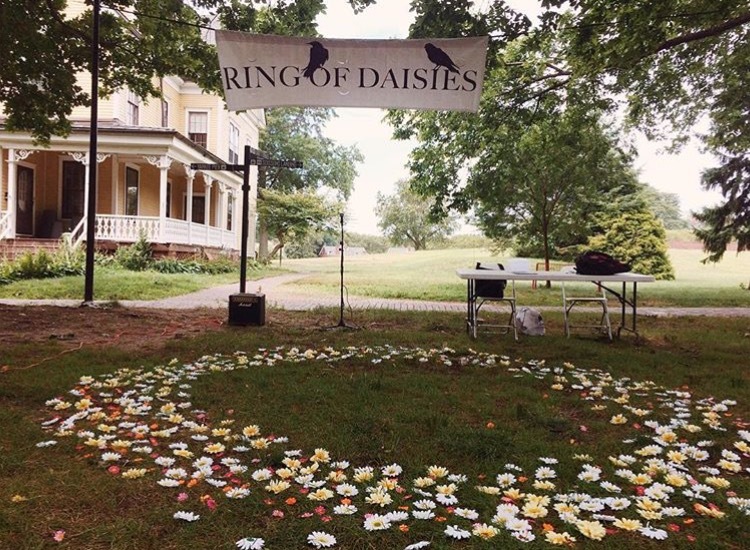 Every year on the last weekend in July, the New York City Poetry Festival unites the vast and diverse New York City poetry community on the idyllic summer paradise of Governors Island. The festival invites poetry organizations and collectives of all shapes and sizes to bring their unique formats, aesthetics, and personalities to the festival grounds, which are ringed with a collection of beautiful Victorian houses and tucked beneath the wide, green canopies of dozens of century old trees. 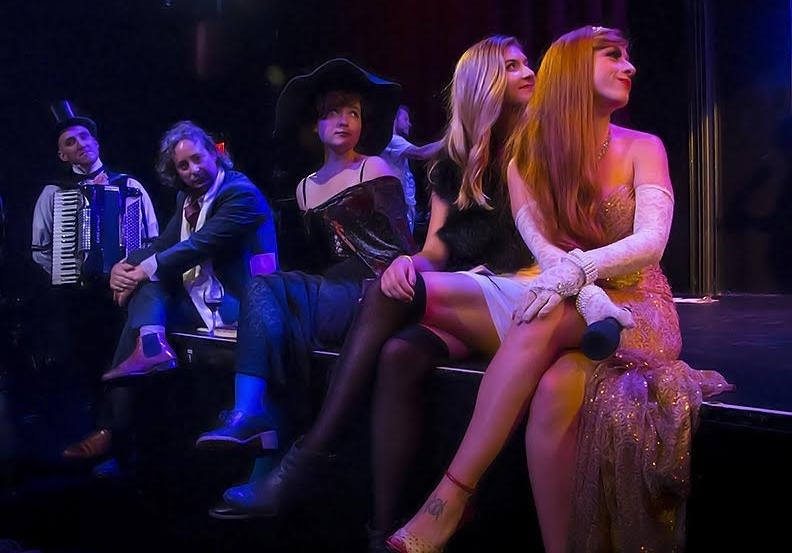 The purpose of the New York City Poetry Festival is to liberate New York poets and their work from the dark corners of bars, bookstores, and universities. 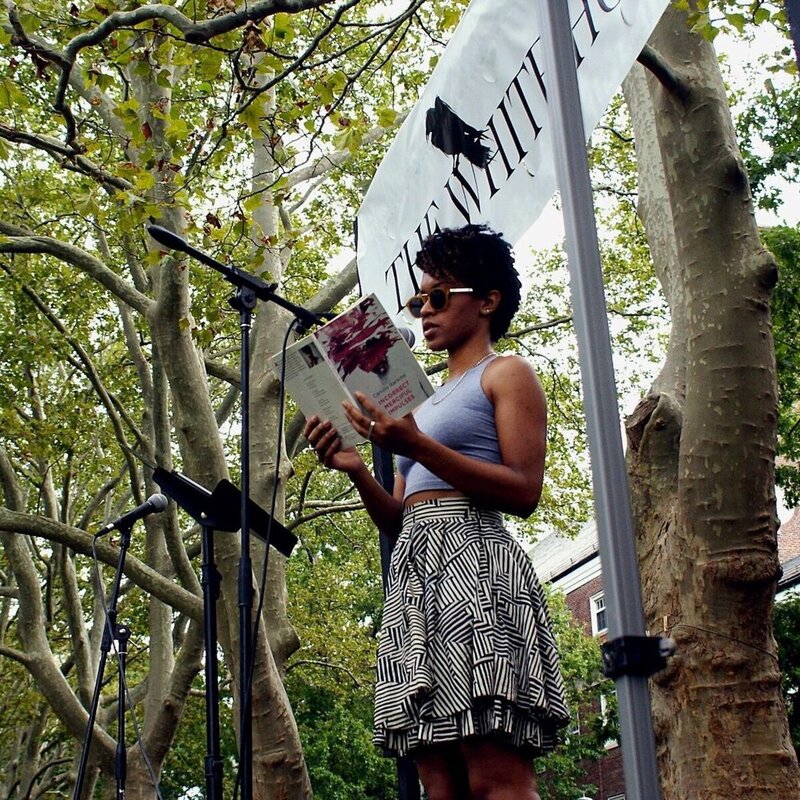 By uniting the largest community of poets in the country and offering a unique setting for literary activity, the New York City Poetry Festival electrifies arts and literature and brings poetry to new light in the public eye. 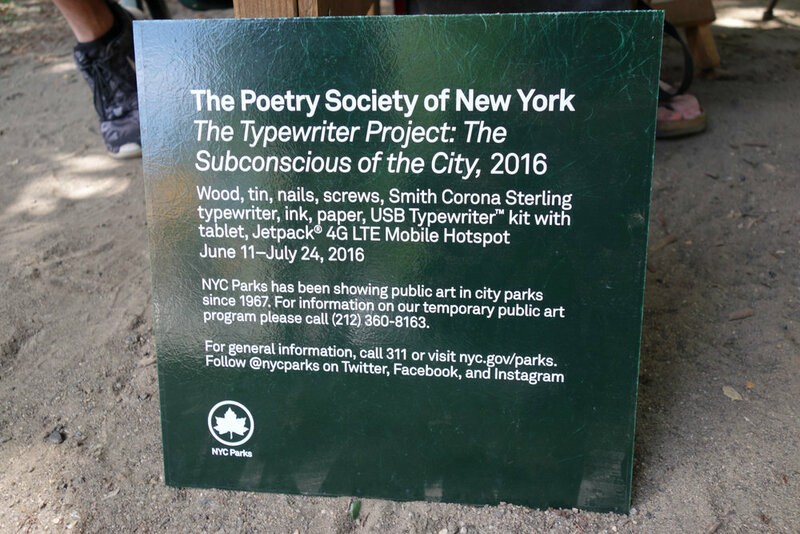 The Typewriter Project is a series of site-specific installations which invite passersby to join in a communal, poetic exchange that exists in both analog and digital forms. 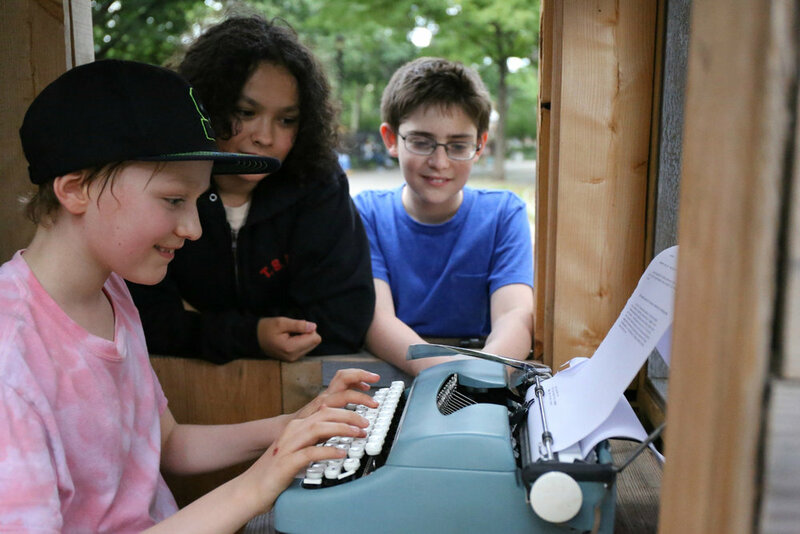 These typewriter booths are each outfitted with a vintage typewriter, 100-foot long paper scroll, and a custom-built USB Typewriter™ kit, which allows every keystroke to be collected, stored, and posted online for users to read, share, and comment upon. The project is largely inspired by the idea of an Exquisite Corpse, a surrealist writing game in which several authors contribute to one poem. Obviously each entry in The Typewriter Project can be its own distinct lyric, but we hope that users will also be influenced by what was written before them on the scroll. By creating a new and unique form of public dialogue, this project hopes to capture something of the sound, narrative, and nuance of specific corners of the city. 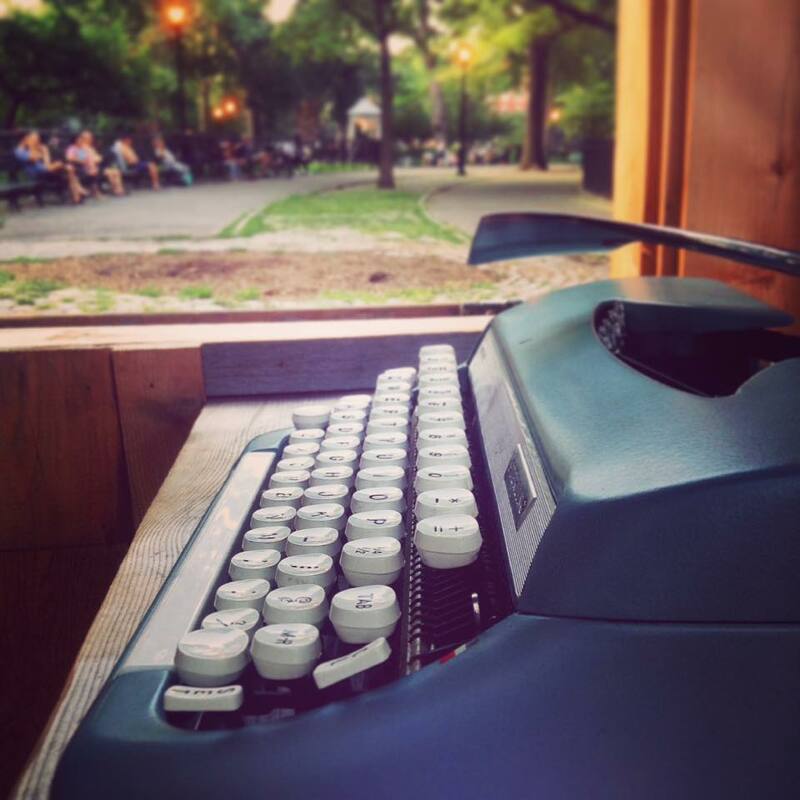 The Typewriter Project’s mission is to investigate, document, and preserve the poetic subconscious of the city while providing a fun and interactive means for the public to engage with the written word. Launched in 2018, Milk Press merges the poetry and visual art worlds by cultivating and presenting exclusively collaborative works. We publish poems and visual art both in print and online, and we host multi-disciplinary Happenings. Our projects are fluid, nourishing, embodied; spilt and split-open. To get a sense of who we are and what we do, check out our blog Spilt Milk, sign up for our newsletter, follow us on Instagram, and submit your work. Milk Press seeks poetry and visual art that steeps itself in identity, performance, social critique, cultural contemplation, body politics, empathy, and everything within and beyond. Underrepresented voices are in particular encouraged to apply. We believe strongly in diversity and inclusion and strive to ensure that our authors and artists represent the variety of cultures, backgrounds, and unique viewpoints that shape our world. We focus on publishing work by emerging artists, so feel free to submit your first book! We will, however, consider work from more established artists as well. We exclusively publish collaborative books of poetry and visual art. That said, you may submit your individual collection, and if we love it, we’ll work with you to find an artist or poet whose work pairs well with yours. Collaborative manuscripts should be between 30-250 pages. Individual manuscripts should be between 15-125 pages. We do accept simultaneous submissions, but please let us know as soon as possible if your book is accepted elsewhere. We take pride in paying royalties to all our authors and artists. Spilt Milk is our blog. We publish one poem or one piece of visual art each week along with an editorial statement. We strive to make each week's selection a piece that is in conversation with the previous week's post. Imagine a space designed to elicit a response. A place so alive with art and stimulus that everyone who experiences it leaves with the seeds of inspiration already sprouting in their minds. Each chamber contains an intentional mix of poetry and visual art, performance and lighting design, climate control and music, fragrances and soundscapes, all unified in their mission to awaken your aesthetic impulse. Milk Press Happenings is an event series designed to generate artistic collaborations. Each Happening results in a publishing project derived from the work that is presented and created on-site. The next happening will take place at the New York City Poetry Festival in July, 2019. If you have any questions about submitting or about Milk Press in general, please contact us here. Applications are now being accepted for our series of Micro-Residencies at the New York Public Library this April 2019! New York is one of the fastest moving cities on the planet, & its poets are some of the busiest people in the world. We don’t all have the time to take a year-long, month-long, or even week-long writer’s residency. That doesn’t change the importance of making time & space to write. That’s why The Poetry Society of New York is teaming up with some of NYC's most forward-thinking cultural institutions to give busy poets exactly what they need: a small chunk of time devoted to writing. The mission of The Micro-Residency program is to carve out that small window of time for working poets in stimulating environments & to demystify poetry by exposing the public to contemporary poets at work. If you are interested in hosting a Micro-Residency at your institution, please contact us for more information. If you are interested in being a resident, Micro-Applications are accepted via Submittable during our open submission periods. To stay up-to-date about upcoming application deadlines, join our mailing list. 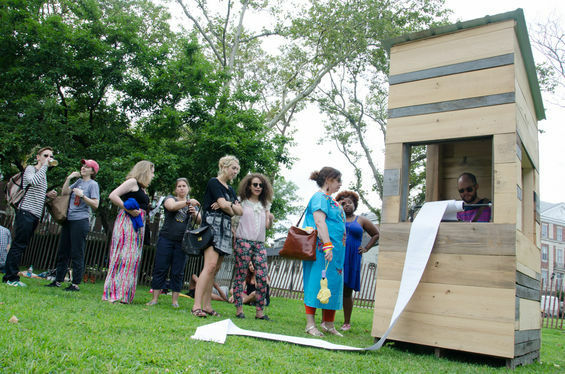 For National Poetry Month this year, we partnered with The New York Public Library to host a handful of Micro-Residencies across their multiple branches from April 18th-27th! You can check out our list of residents here.